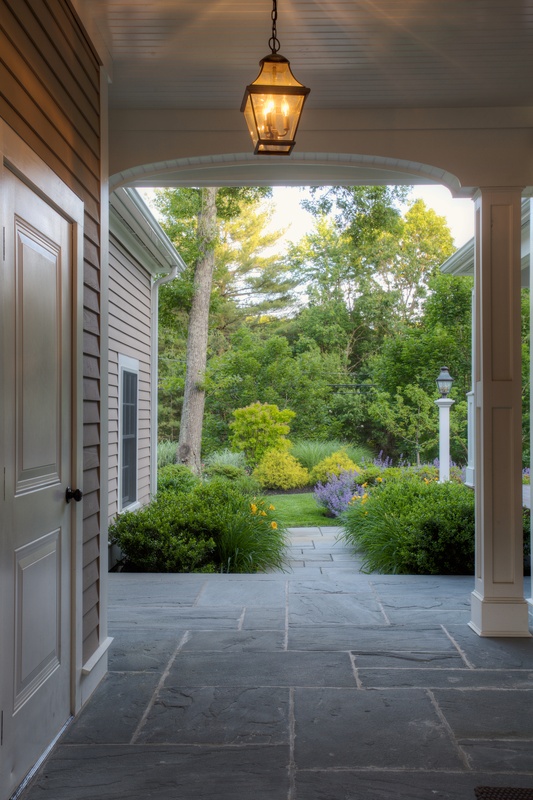 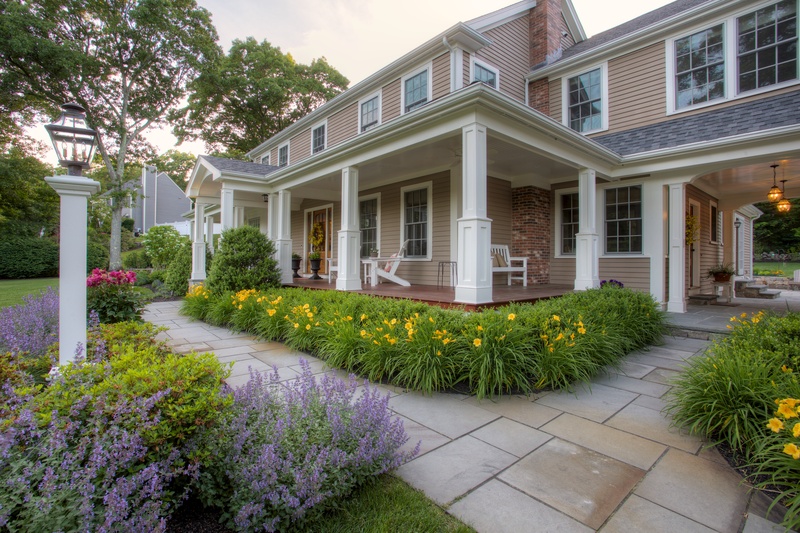 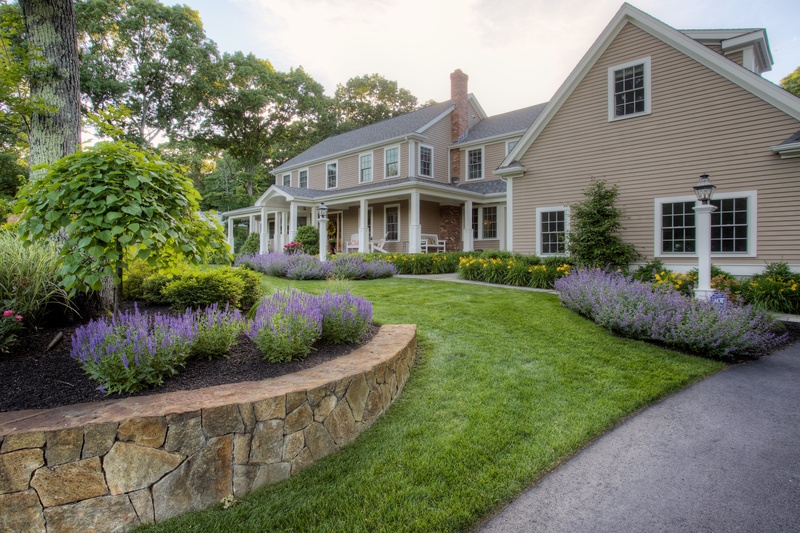 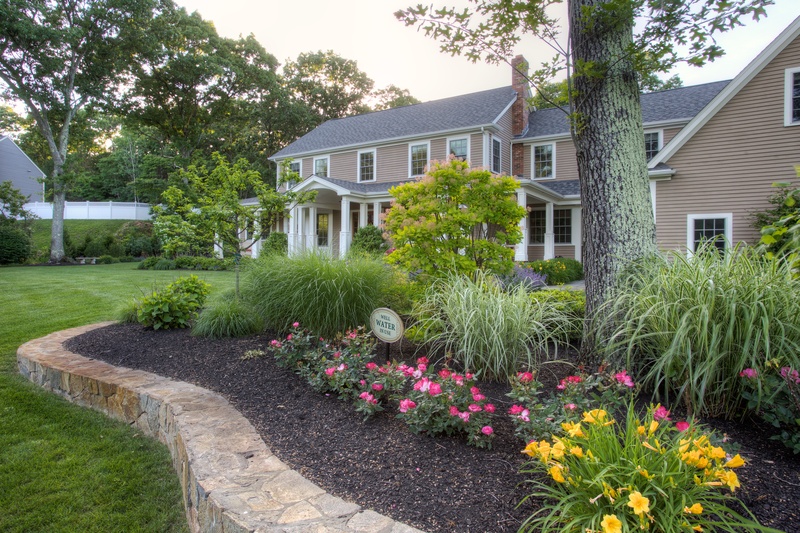 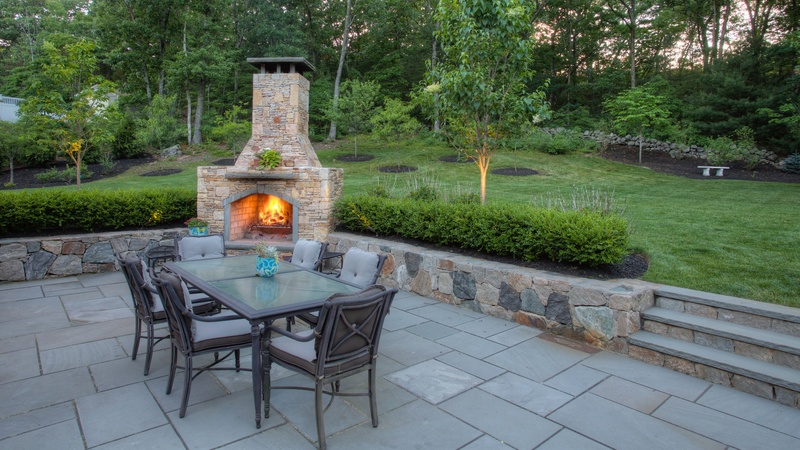 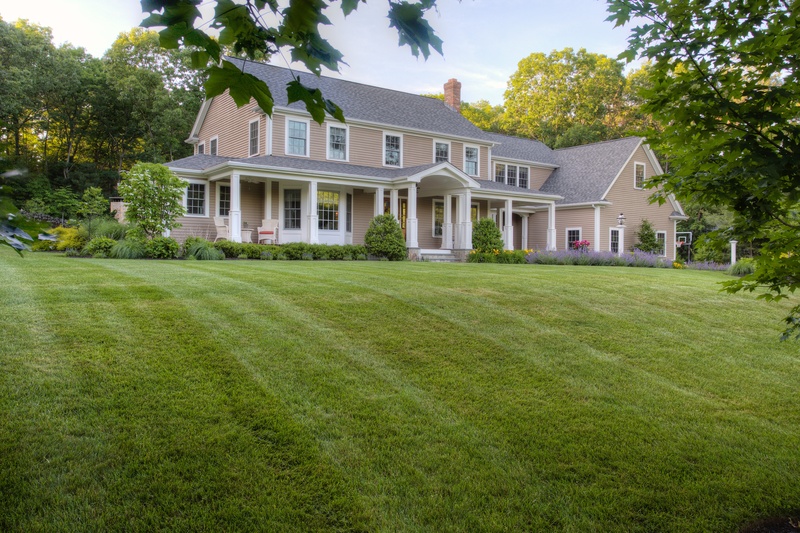 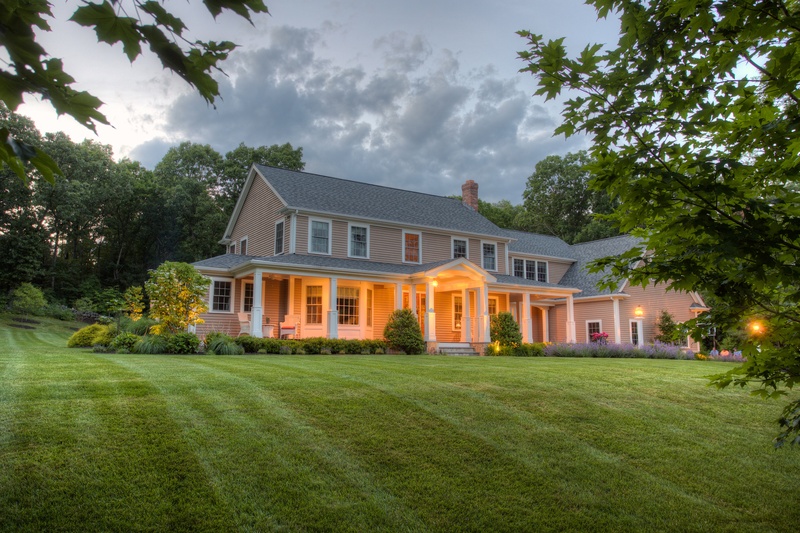 This expansive home needed a landscape on par with its colonial elegance, and the homeowners needed one for relaxation and enjoyment of the beauty all around them. 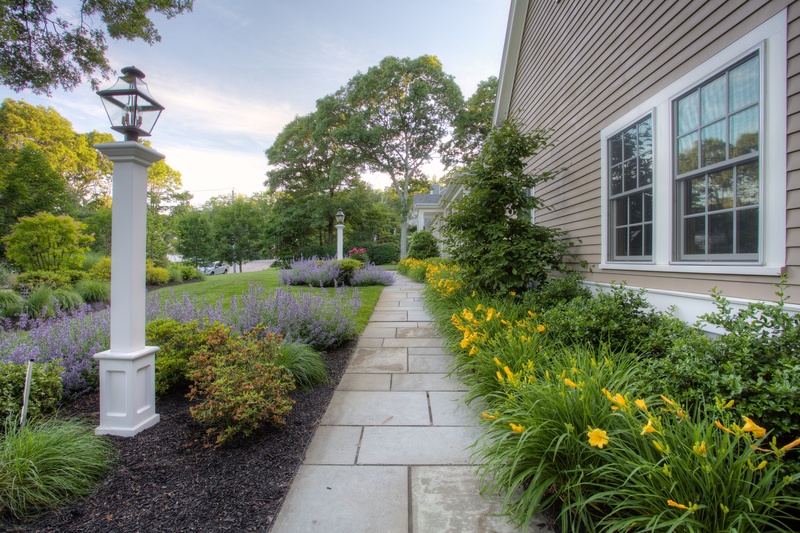 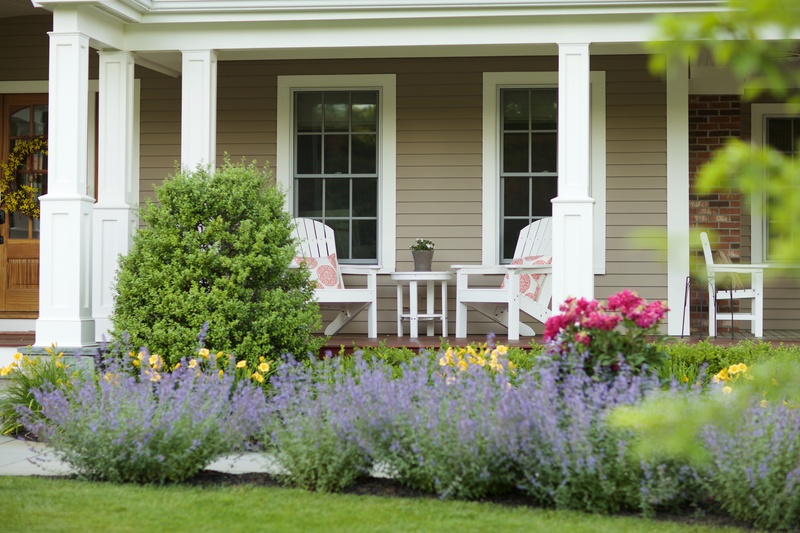 A diverse garden design with plantings show the beautiful color range from one end of the growing season to the other. 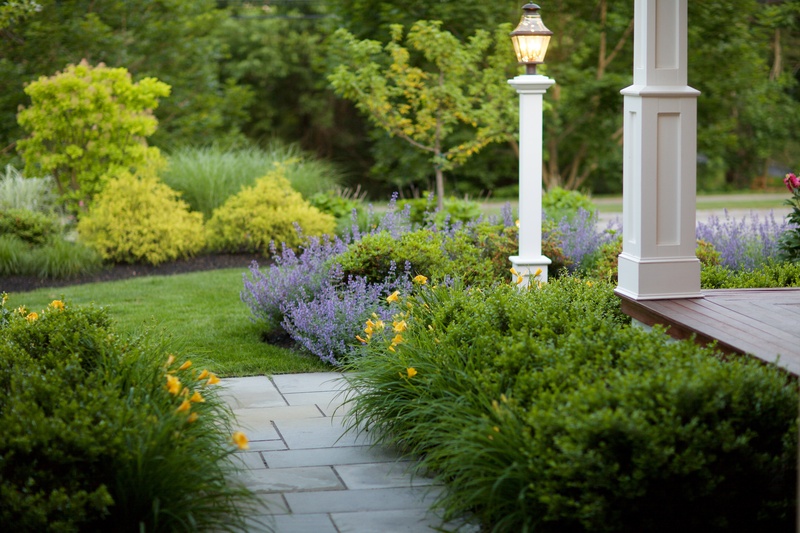 Plantings and laid natural stone to make the most attractive welcome. 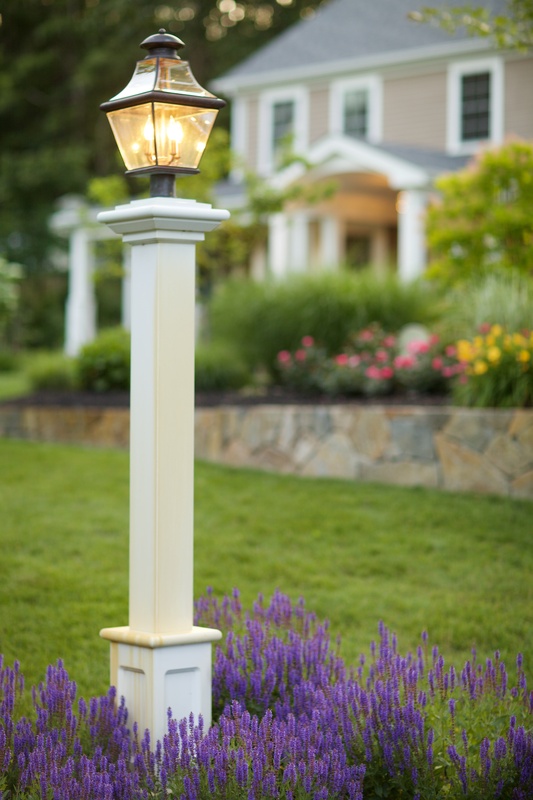 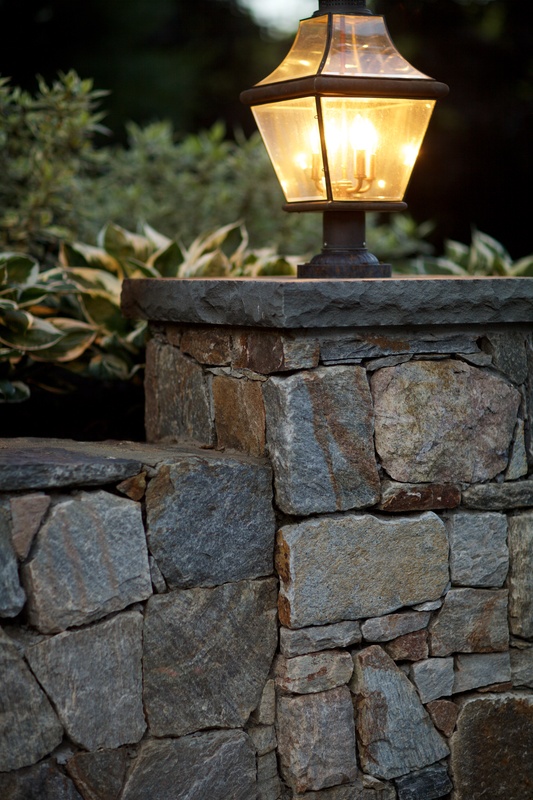 Bringing a whole new beauty to the home and landscape during the evening hours. 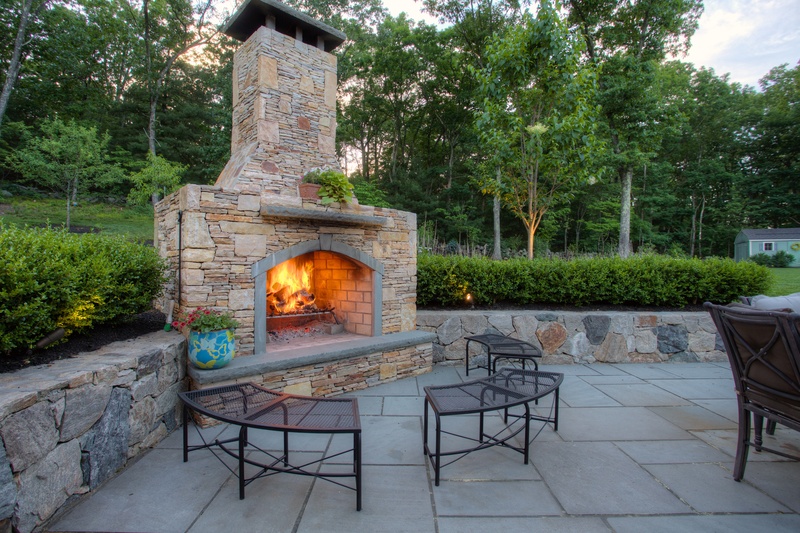 With a variety of seating areas and fireplace, which can even double as a pizza oven, this is an area that will get maximum use.